But if you’ve achieved perfection, you can’t by definition, make improvements, right? You can, however, make things different. How similar or different is this new Bonafide from the previous one? Who will now prefer this new Bonafide to the previous Bonafide, and why? 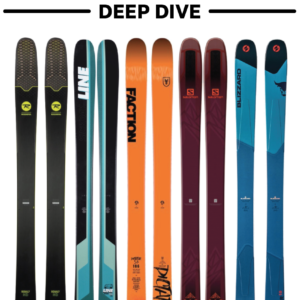 How does this new Bonafide stack up to the current crop of skis in this category? “Just when you thought your favorite ski couldn’t get any better, it did. The all-new Bonafide features new shapes that up this perennial favorite’s game, making it more versatile than ever. New sidecuts and rocker profiles make it easier to ski, while the proven Carbon Flipcore™ with two sheets of metal makes it calm, confident and powerful. As you can see in our measured specs above, the 17/18 Bonafide is a touch wider in the shovels and tails, while maintaining an identical waist width (97.5 mm) as the previous Bonafide. By slightly widening the tips and tails of the Bonafide, a bit more sidecut is created, and hence, we see the stated sidecut numbers decrease from 21 meters (the sidecut radius of the previous 180 cm Bonafide) to 18 meters on the new 180 cm Bonafide. The number that jumps out the most is that the new Bonafide gets 1 cm more tip splay over the previous Bonafide, while the tail splay remains nearly identical. The second most notable thing is that our review pair of 17/18 Bonafides has a noticeably diminished amount of traditional camber underfoot compared to our 16/17 pair. I wouldn’t expect this to create a dramatic difference in terms of on-snow feel or performance, but it’s worth pointing out. Finally, before anyone gets upset about that additional 1 cm of tip splay on the new Bonafide (I might primarily be talking to myself here), it should be said that the tip rocker line is quite similar on the 17/18 Bonafide and the 16/17 Bonafide. So it’s not the case that the new Bonafide has been wildly rockered out; instead, it seems that most of that additional tip splay is occurring near the very end (tips) of the skis, and we’re fine with that — it would have been more worrisome if that extra 1 cm of tip splay was the result of a more dramatic amount of tip rocker that started deeper in the ski at the tip rocker line. So what about the flex pattern? Did that change? On the tails, any changes are pretty subtle. If anything, it seems like the shovels on the new Bonafide are slightly softer, as is the area behind the heel piece — at the tail, call it a 7 or 7.5 vs. an 8 on the previous Bonafide. But the differences here are subtle enough that I don’t find it to be much of a story, or much cause for alarm. Blizzard didn’t neuter the Bonafide. While the new ski is ~40-60 grams lighter, that’s a pretty marginal difference for skis of this width and length that are coming in around 2150 grams. So we don’t consider this a significant (or worrisome) difference, and you’ll notice that Blizzard doesn’t even mention the slight weight reduction. So let’s move on, and just hope we don’t end up missing those few extra grams when it comes to testing out the new Bonafide’s top-end. Despite the fact that Blizzard wants to talk about the “all-new” Bonafide, on paper, at least, the differences here are rather subtle. Thank god. So while our primary interest in terms of comparisons is still New Bonafide vs. Previous Bonafide, there are two other obvious comparisons to bring up: the 17/18 Bonafide vs. the 17/18 Nordica Enforcer 100 and Enforcer 93. “Easier to ski” and “more versatile” — that’s what Blizzard is claiming they’ve done — and all that they’ve done — to one of our favorite skis. Stay tuned to see if we agree with them. Meaningless specifications run down and all the real test skiing impressions will be pushed behind the paywall. This is the new Blister. Hi, Alex – I know it’s fun to be snarky on the internet, but your claim is simply false. Those specs are far from meaningless, especially since you can’t find anywhere else the actual, measured, verified, differences and distinctions between last year’s Bonafide and this new one — and Blizzard is calling this the “all-new” Bonafide. We actually take the time to make that information available – and provide rocker profile pics – when no one else does. So *you* might find it meaningless, but thousands of skiers disagree with you. And for the record, this all takes a lot of time. So we put out our First Looks to get this initial information out there, then that buys us more time to formulate our on-snow, full reviews — which are also very time consuming — and also free, just like our First Looks. 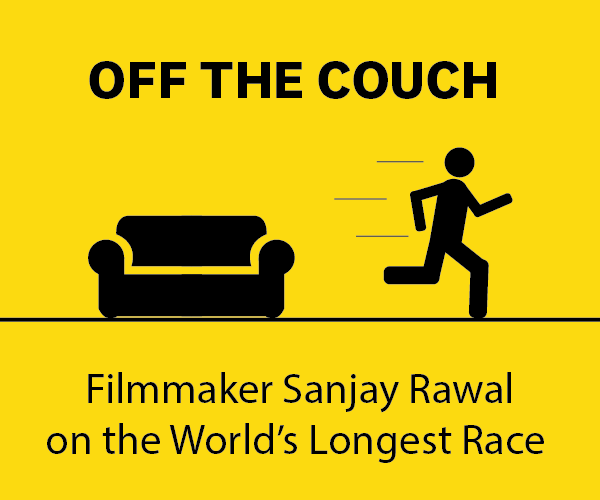 So between our First Looks and full reviews, we’re giving you about 4000-5000 words on a ski for free, and we will stand by the accuracy of that free information. Want to know what’s more fun than being snarky on the internet? Watching someone get put in his place. Ditto on Tanner’s comment, and thanks Blister for your review “culture”. 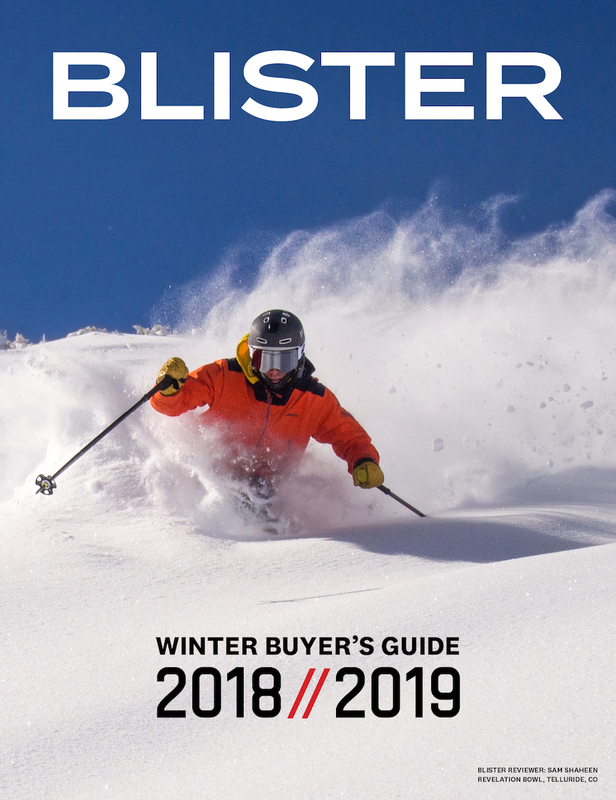 The research, development and testing of today’s off-the-shelf skis is largely consumer driven, and we need a shared quasi-technical vocabulary such as is found in Blister’s reviews. Effectively publishing and utilizing this vocab requires methodology and documentation over a few seasons, to say the least. When a proven expert ski I enjoy is tweaked in it’s design, I want to know, as these changes will make significant differences in some areas of performance. I appreciate (and can “feel”) the careful comparisons made by Blister – both when I’m on line (in the abstract) or on the mountain (in application). I may not always share the exact conclusion as a Blister reviewer, but that’s just me and my technique preferences. 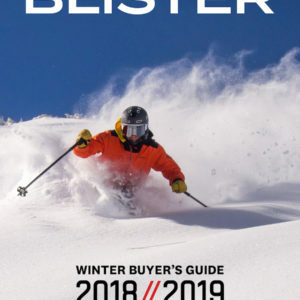 Blister has dramatically raised the bar for ski reviews. Only very recently have one or two other review sites upped their game beyond the typical “good-better-best” product endorsements which here to fore were the industry norm. Thanks, Peter. I think another important additional piece here is that skis aren’t cheap, so unless you’re filthy rich or you just don’t care, then it’s meaningful to know what you’re about to drop hundreds of dollars on. Looks like the additional tip splay accounts for the reduced tip-to-tail length. I seem to remember some promo material stating that the effective edge is actually (slightly) increased. Probably not a huge difference there in any case. Tweaking of the sidecut is probably more important, but we’ll have to wait for the on the snow testing for the real impressions. Thanks for listing all the verified data, and the profile pics! Hi, Konsta – that assumption in your first sentence is correct. Hello Blister, I just wanted to reiterate the praise of fellow posters. Your articles are extremely insightful and have been a large reason as to why I recently purchased the 2016/17 Bonafides. Your reviews were instrumental in my decision making and I could not be happier with my choice of ski for my daily ride. I spent a week on them here in Australia and loved them. I was somewhat unsure whether they would be ‘too much ski’ for me, but they elevated my game to another level and they let me rip through all conditions. So thank you Blister and keep up the excellent work. I look forward to spending hours flicking through the next buyers guide…..Jonathan, I hope your recovery is going well. Thanks, Eyal, glad you’re liking those Bonafides! And yes, happy to report that the recovery is going well. You are one of the only and definitely the best review page out there. Not having to guess a ski’s weaknesses by counting what was praised the least, is a blessing! 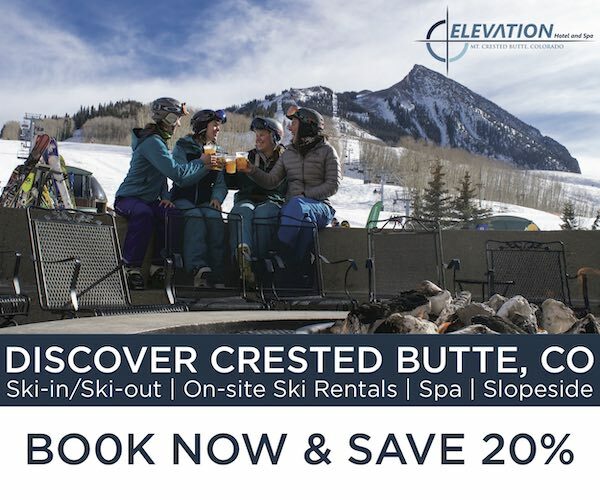 Thanks for providing such extensive resources to choose skis! I just have one question about what you’re expressing with the often used phrase ‘more ski’? I read it repeatedly (admittedly, not in this review) and am never sure how to 100% interpret it. I’m just unsure if you’re referring to a higher top limit and more capability, higher technical requirements, higher demands in muscle power or something entirely different. I’d be happy if you could elaborate what this term means to you and how you use it. Thank you, Rico. And as for “more ski,” that is short hand for a more “substantial” ski — a ski that offers more stability at speed and in variable conditions. And it almost always implies a heavier ski rather than a lighter ski – and heavier often means that the ski will feel more planted / stable / damp. I’ve never really met anyone who has liked skis that are more work / require more effort — more work / more effort is rather the reality of heavier / damper / more stable skis. They require more effort or strength, but if you are willing & able to provide that effort and strength, the resulting ride quality of “more ski” can be pretty great. So the question then becomes, How much ski is too little for how and where you like to ski? How much ski is too much for you? And how much ski is enough for you? I too find the First Looks very valuable. Yes, it’s only half the information, but very important. For example, last year my complaint about the Bonafide was the turn radius was too long and the ski wasn’t as playful or seem as quick as the Enforcer. The increased sidecut will address this, and less camber will probably also help. But, thankfully the stiffness seems to have been left alone. It appears the goal was to make the ski a bit more like the Enforcer. If they can do that, without losing the famous edge hold or all the other attributes Blister highlighted in the 16-17 version, the new Bonafide will be a winner, maybe even better than the Enforcer. I’ll be looking to see if the review shows a gain in liveliness, quickness, playfulness without losing the strengths from last year or if the strengths are gone without picking up any new benefits. Only Blister gives enough information to get these sorts of answers in a printed review. The “vague” feeling Jonathan cited in earlier model of the Bonafide was banished entirely from the 2016-17 model, and I concurred with Jonathan’s “perfect” characterization of the ski. It’s a truly great ski for my everyday ride. However, late last season, I wondered “WHAT IF the Bonafide was a tad easier to bend and had a tad tighter radius”? Sounded too good to be true. Now various reviews and hype indicates that Blizzard may have indeed nudged the Bonafide in that direction without sacrificing performance. Needless to say I’m looking forward to Jonathan’s in depth review. To speculate about the new Bonafide, it would be a shame (IMO) if Blizzard was attempting to incorporate characteristics of the Enforcer 100 into the R & D of the Bonafide evolution. After a demo last season, I concluded that the two skis are suited to very different techniques. For example, on packed piste, the Enforcer 100 has a lovely and precise turn shape, a buttery ride with solid rebound, and amazing glide for a 100 mm ski. However, the Enforcer had much less a “usable turn shape” compared to the Bonafide (even the early model Bones). Although the Enforcer’s shovel will engage and flex into the turn early enough, the front of the ski only begins to effectively carve when the entire ski is bending into the turn shape. Conversely on the Bones, the shovel and front of the ski can be energetically driven to define the turn shape. I felt like 15% of my turn efficacy just disappeared on the Enforcer 100. (Perhaps I should have demo’d the Enforcer 93.) This edge loss on the Enforcer could be partially mitigated by exaggerated angulation and adjusting my stance aft to get onto the middle sweet spot sooner, but it felt weird to be riding the front of a ski which was so ineffective. And, in the worst case scenario, on very icy conditions the Enforcer 100 felt almost like a beginner ski. Perhaps recreational ski design development is defining itself in into two basic camps; ski’s for those who typically use the entire edge length, and ski’s for those who typically use much less edge length. Hi Jonathan. Thank you for your in depth and insightful reviews.They point midwesterners like me in the right direction, as we do not get much demo time until we make our annual pilgrimages west. Do you have the same thoughts towards the 17-18 Bonafides that you cite below for the 16-17 in terms of the 180 being a sweet size for this ski and stable enough to handle larger skiers at speed? Im 6’3 205 and have been skiing for 30 years. Currently skiing 14 Mantra’s at 184 for my western dd and 16 Faction Candide 3.0s at 192 for open soft conditions and powder up to knees. I like both of my skis for the right conditions but Im looking for a ski that is more suited to trees and bumps at resorts like Winter Park and Steamboat. That said, I still want to be able to let it go on open terrrain and ski all conditions short of deep powder. Im leaning towards 180s but a little concerned they will be a little squirrely over 50 mph with my size. Any thoughts will be appreciated. Any ETA on a more in-dept test of the 17/18 Bonafides? Plus 1 on the above! Given how popular this ski is many people are anxiously waiting for the full review of the 2018 model… Thanks! Plus 3! Really anxious to get the full run-down…. Skied the 2016/17 180 Bonafides last year and felt it to be a bit too much ski (especially for foggy days). Bought the 2017/18 187 Bonafides after falling for the advertised reingeneered shape and….ABSOLUTELY LOVE THEM!!! Are you going to review the new Bonafide soon? I did not get a chance this season to demo the latest Bones, and opinions on the success of tweaks vary. 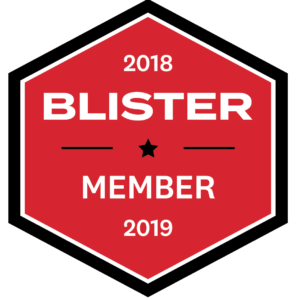 Is there a Blister review suitable for public viewing? 17 -18 Bones sitting on the workbench waiting for me to decide if mounting a Marker frame binding would be sacrilege, or if I should just go for it. It is rare anymore that I don’t get at least one lap out the gates when area skiing, so it would probably be a 90/10 ski for me. At 160lbs with 315 BSL I’ve skied both the F10 tour and Barons at a DIN 7/8 without any prerelease, and can’t say the increased stand height has jumped out at me. Also carpet testing I don’t see any increased lateral play versus a Griffon, but both the F10 and Griffon do not transfer laterally as well as the Attack 13 (noticeable movement in the heel to boot interface). Did you need to detune skis to make them less hooky or there was no need for it? On previous version I found that with detune of all rocker the ski felt less hooky and skied a lot better. Jonathan, first and foremost, I know you must be tired of hearing this after so many years but it bears repeating just how excellent this site is along with all of the buyer’s guides and advice. The amount of effort and detail that goes into all this is simply astonishing, and I personally can’t thank you enough. I own a pair of the previous (15-16/16-17) Bonafides and had a chance to demo the new version at Mammoth in late March, and I couldn’t agree more with your assessment. The new Bones just feel “short,” more pivoty (I think reduced camber has a lot to do with this), less stable, and saddest of all, just not as precise as the previous version. I understand the reasons for making skis more “accessible” from a sales and marketing standpoint, but I am left scratching my head as to why Blizzard would do this. It is owned by Tecnica, who also owns Nordica, and they already have the “accessible” ~100 mm ski, the Enforcer 100. I mean, what is the Enforcer 100, if not a mellower and more accessible version of the (previous) Bonafide? With the popularity of the Enforcer 100, Tecnica already owns that market share, so why alienate skiers like you and I who are looking for more stability and precision out of a ~100 mm all-mountain ski, at least on certain days or certain terrain? Maybe the numbers add up on Tecnica’s end, but I just don’t see it. I have yet to meet someone how enjoyed the previous Bonafide and wanted more “accessibility” out of that ski. It seems Tecnica had the best of both worlds in previous Bonafide and current Enforcer 100, but now they are blurring the lines and in the process making the Bonafide lose its core strengths, and subsequently the loyalty of a very large market share of skiers. I’m curious to hear your thoughts on this, and as always, keep up the great work. Interesting point. I definitely agree that the gap between the bonafide and enforcer has narrowed in 2018 and 2019, but they are still pretty distinct from each other. IMO, the 2016-2017 bonafide in undoubtedly peak bonafide. Just a perfect ski. I have also demo’d the newer bonafides, and the new shaper certainly boosts their hard snow carving energy, which is always fun, but they also definitely lost some of their crappy snow versatility. For those that could bend a ski, the 2017 bones had more than enough energy out of a turn. But back in 2016/2017, I knew plenty of lighter and/or less aggressive skiers who opted for the enforcers because they thought the 2017 bones felt “dead” and “low energy”. I was always surprised to hear that, but ultimately determined that the reason they felt that way was because the bonafide was just too much ski for their weight/style. Groomers: bonafides are still significantly more powerful and can be pushed pretty much as hard as you can ski them without faltering, whereas the the speed/edge-grip threshold shows up sooner on the enforcers (both the 93 and 100). The same could be said for the 2017 bones. Off-piste and variable: whereas the 2017 bonafides were also way more powerful and stable than the enforcers when skiing off-piste, I found the new bonafides (with their tighter sidecut) to be a bit hooky in the turn and a bit less compliant when skiing fast and straight through cruddy snow. While the enforcers do have a bit of a speed limit (albeit a high speed limit), I actually prefer them off-piste versus the new bonafides. Their more rockered tips and more forgiving flex just make them a lot more playful and versatile in these conditions. Hi Blister Team!! First off, thanks very much for providing these reviews for free and accessible to the public! Buying a pair of skis is a heavy investment so this kind of knowledge is very valuable. So I want to buy a pair of skis and im torn between two options. The options are the masterblaster from jskis and the blizzard bonafide. I’m an aggressive skier and mostly enjoy bumps, steeps or small cliffs (black and occasionally double blacks) and trees. I also like to “jump and play” in natural obstacles in the mountain (but I never hit the park). I also want a ski that as I progress even further is able to grow with me. Around 90% of my ski time is in-bounds, so very rarely do I go to the back-country and when I do I usually rent another pair of skis. My main ski resorts are Tahoe, Colorado and Whistler (ocassionally Jackson). Did you guys eventually try the 187? For a rider around 160-170lbs 5ft 11 riding the 187 would you recommend going with the recommended mounting point or +1/2 cm to make the ski a touch more manoeuvrable? Similar story to your Brahma review. Know some dudes who dropped back 1.5cm on the 185 Cochise for more stability with good results so debating whether to move forward a touch or leave it be?! Aggressive rider likes to drive skis throughout currently riding head raptor boots. Just another note saying how excellent your site is. I’ve been skiing since 1973 and patrolling since 84 and your reviews are simply the best. I bought the 2017/2018 model last year at close out for a bargain in the 187 size. I am a 5’10” competitive racer who used to ski 198cm slalom skis back in the day. I turned 55 last year and got tired of working my SL or GS skis through crud, powder and tree lines while in Banff & Stowe last year so decided I needed something with a 100cm-ish underfoot so that I didn’t have to constantly fight the skis dropping unto those snow conditions & the 187 bonafide did an EXCELLENT job. The thing I was not expecting was for them to do as well in the hard pack icy late season conditions in the southeast (Snowshoe). In a March trip I had the chance to put these sticks through their paces and was pleasantly surprised at just how well they handled. So well in fact that I am actually toying with the idea of skiing them in a few of the recreational “club” GS events. I’ve got some solid days on the 18/19 187’s and am really liking them so far. I should have bought these skis four years ago. They are a very solid performer for me. I am really impressed with their smoothness, dampness and ability to transition from very hard snow to soft snow then bash through some mounds without getting bucked around at all. To top it off they ski pretty well off pist. Best review on the net! I love these skis so far. I didn’t think I’d like the suggested binding placement being so far back on the ski, but it’s old school awesomeness. Did you ever get a chance to try these out in 187cm? I am particularly interested in how they handled in tighter situations such bumps and trees? I’m an advanced 49 year old skier, 5′ 6”, 145lbs, ski primarily on the west coast. My current ski are Enforcer 110 177 & Enforcer 93 169, I had a little uncomfortable when I run over 50 mph with Enforcer 93, I like a ski that offers more stability at speed and in variable conditions, I am interesting Bonafide 173, would you please give me any advice? Thanks!